SOLD. Updates include flooring, stove, painting, bathroom vanity. In unit laundry and storage. Washer, dryer, fridge, stove and built in dishwasher included. One bedroom and one bath unit. Living room with gas fireplace insert (gas must be hooked up to this unit). 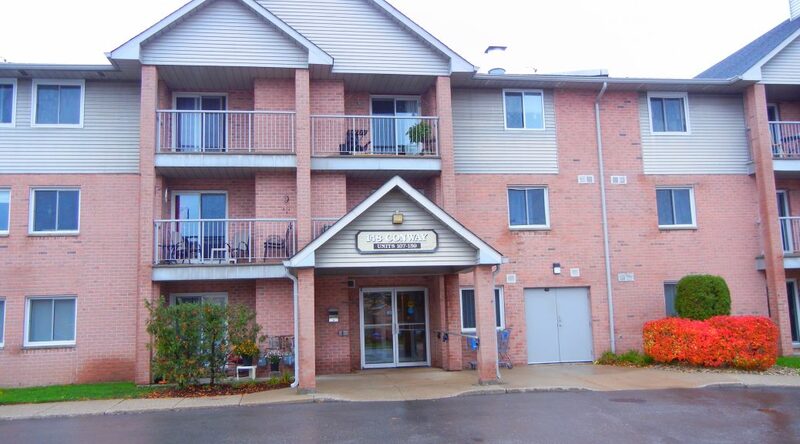 This apartment style condo has outdoor swimming pool, elevator, ample parking and is close to 401, 402 shopping and White Oaks Mall. Possession can be quick.